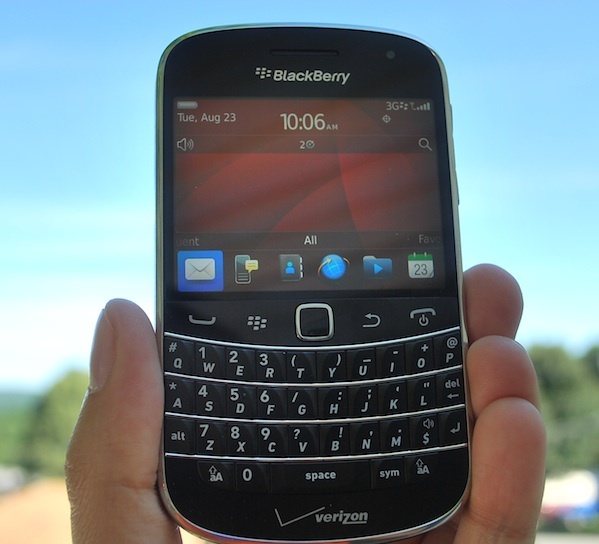 The BlackBerry Bold 9930 is the CDMA version of the long-awaited BlackBerry Bold 9900. 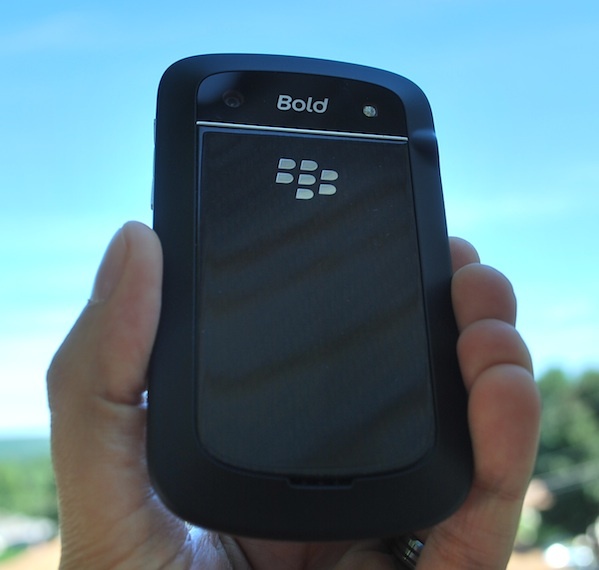 RIM's latest device brings back the styling of the BlackBerry Bold 9000 in a much updated form. The revamped keyboard mixed with a touchscreen is a killer combination. This high end device is sure to be a crowd pleaser and welcome upgrade to those users with a BlackBerry Bold 9650 or earlier device. It's not often that CDMA carriers get the latest and greatest, but this time around RIM did things right and released both the GSM and CDMA versions all at once. Read on for our quick review of the Verizon BlackBerry Bold 9930. The BlackBerry Bold 9930 is one sweet device - it's as simple as that. It brings RIM's well known full QWERTY form factor and adds in a touchscreen to mix the best of both worlds. The Bold 9930 sports a 1.2Ghz processor and 768MB of RAM so you know it's ready to rock. CDMA users have typically been left behind when it comes to having the newest devices, so this time it's a welcome addition to the CDMA arsenal. 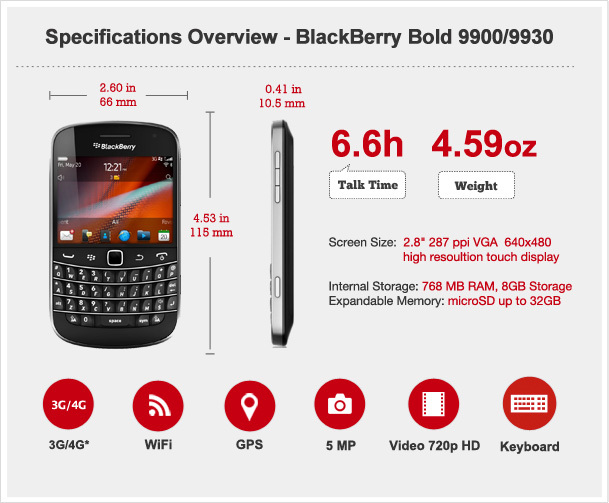 The Bold 9930 is a high end device and it shows. 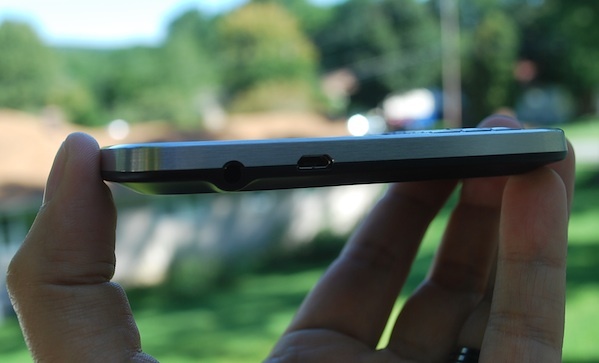 From the illuminated trackpad to the stainless steel band that surrounds the device, you know it's a quality product. 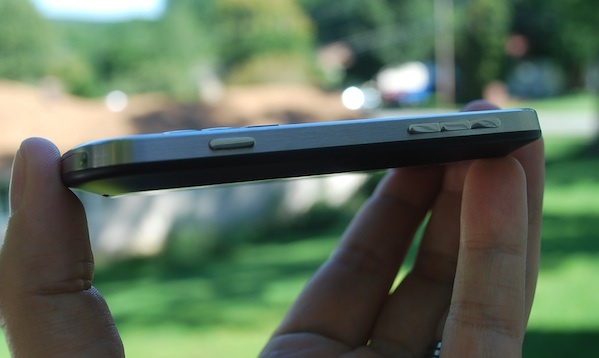 The thinnest BlackBerry to date, the Bold 9930 also feels light and is easy to hold for work or play. You can see the time that went into the design -- right down to the way the device fades out when dimming. The Bold 9930 keyboard is the best in the business as well. It feels like previous devices were good, but they were all just paving the way for the 9930. Typing on it is a breeze and it just feels amazing. The keys are "clicky", but they have just the right amount of movement and keep the words flowing. 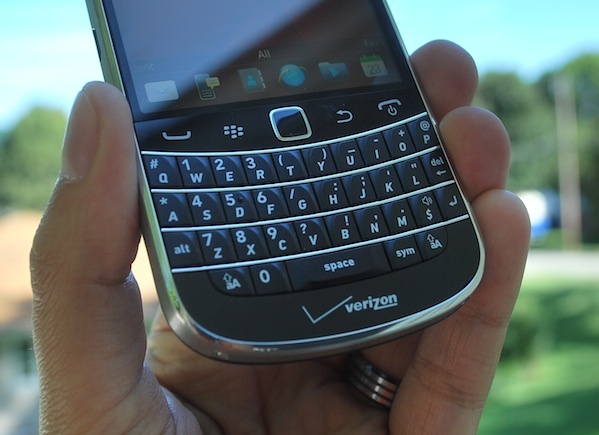 The navigation buttons and trackpad fit right in with the sleek design of the Bold 9930 as well. The Send, Menu, Back and End keys are plain white this time around and blend perfectly with the face of the device. The welcome addition of the touchscreen changes things up a bit in giving users new ways to navigate and get things done. Browsing the web or even just getting around the new BlackBerry 7 OS is a breeze when you can simply tap the screen. The internal hardware is powered enough to keep things moving along, and the hourglassing that BlackBerry users may be used to is few and far between. Perhaps the only real gripe is the new EDOF camera that loses it's auto-focus in favor of a smaller footprint to keep the size of the device nice and thin. Also something to note is that NFC is absent from the Bold 9930 though we're not sure why. The NFC battery door is there and it's the same device as the 9900, but there is no option to turn it on or off under network settings. So although you can get the option back with a leaked software update, it's definitely something we'll have to investigate further. For the full breakdown of all the new features of the BlackBerry Bold 9930, you can check out our full BlackBerry Bold 9900 review. As the devices are essentially one in the same you can get the scoop on all the pros and cons of RIM's flagship device from top to bottom.